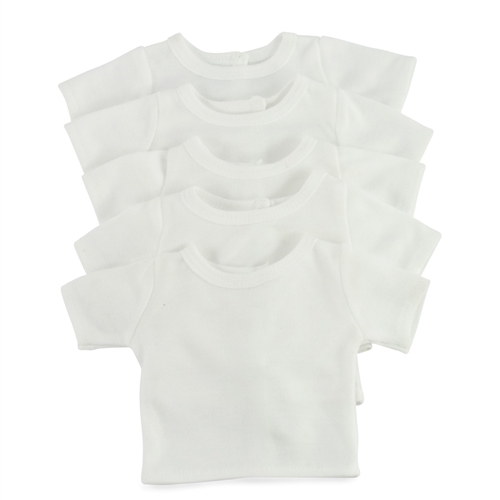 Perfect for birthday party favors, fund raisers or children's craft parties, these plain white tees are made from high quality fabric that is machine washable and made to last. Each t-shirt has a double stitched, crew neck design with a no-grab Velcro closure in the back to make dressing a snap. 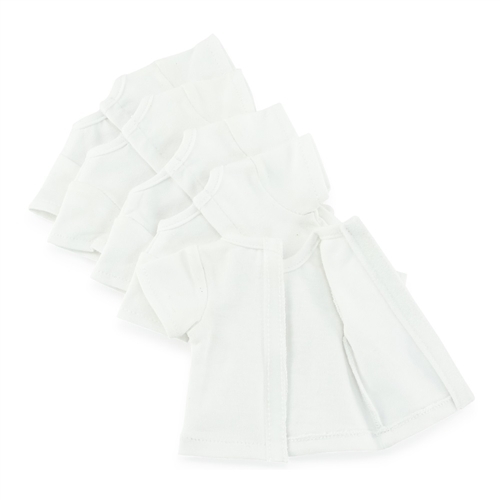 Multi-purpose plain tees for craft projects, fund raisers and parties. Gift boxed! 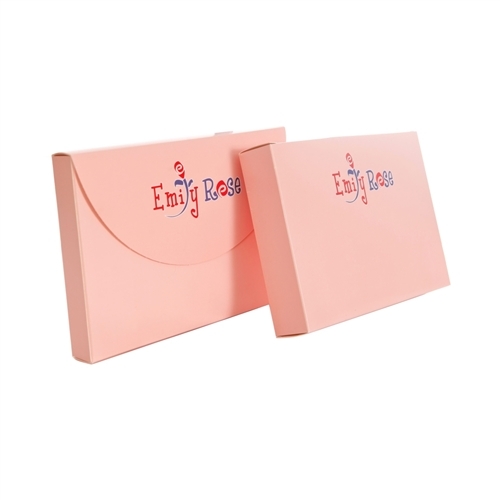 Packaged as a set of 5 shirts, in a classy pink gift box. What a VALUE!